This year's Consumer Electronics Show will kick off next week, and many tech companies are ready to show off their gadgets. Alcatel OneTouch plans to attract attention on the show floor with its line of affordable phones and watches. But this time the price isn't the biggest draw. The Alcatel OneTouch PIXI 3 series of handsets offer screens ranging from 3.5 to 5 inches. The smallest will only support 3G, while the 4", 4.5", and 5" options should handle 4G LTE as well. All will apparently be able to run Android, Firefox OS, or Windows. Alcatel describes the devices as OS agnostic but doesn't specify if the same hardware will run each platform or if there will be different models to choose from. The company also didn't include photos with the press release, so we'll have to wait until next week to get more information on the phones. In the meantime, Alcatel is also teasing a new smartwatch. 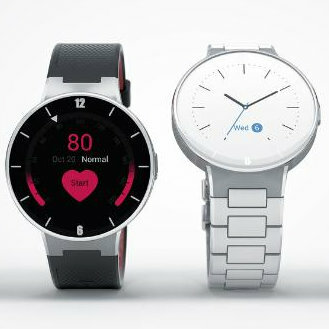 It says the WATCH will offer an elegant design at an affordable price. The press shot shows off a circular display and bands that, if not made of metal, at least look like they are. The WATCH will be able to connect to Android devices and let wearers receive notifications, control music playback, and snap photos. The announcement doesn't specify if the accessory will be powered by Android Wear, and the software in the shot above leaves room for doubt. If either line of products piques your interest, you can search through the full press release for more details below. HONG KONG, Jan. 2, 2015 /PRNewswire/ -- With a series of announcements at the International CES, ALCATEL ONETOUCH, one of the world's largest smartphone brands, makes good on its commitment to offer the latest technological innovations to all. The brand's new PIXI smartphones make mobile Internet available to everyone, while offering another innovative feature of OS-agnostic. It is available with Firefox, Windows or Android, providing the flexibility to all consumers. What's more? 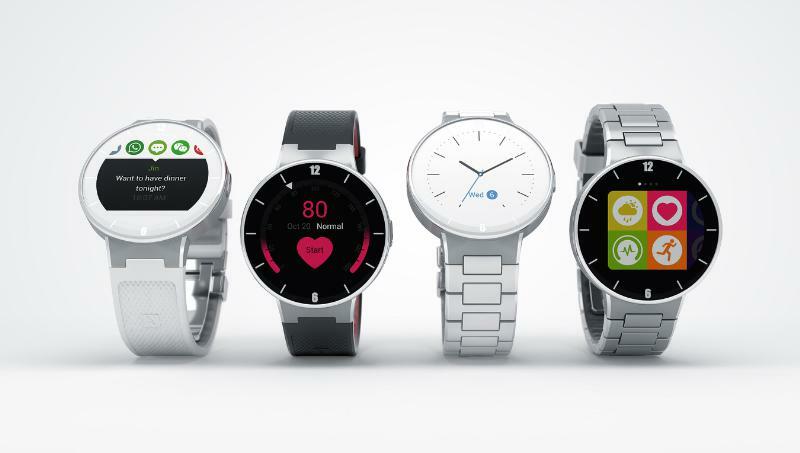 The smartly priced WATCH creates a newly attainable smartwatch category. First among ALCATEL ONETOUCH's announcements at CES, the smartphone brand is launching its affordable PIXI 3 series, ranging from a pocket-friendly 3.5-inch display to a larger 5-inch display. Offering both 3G and 4G LTE connectivity for the PIXI 3 (4"), (4.5") and (5") and 3G for the PIXI 3 (3.5"), the PIXI 3 series further features easy customization and the most popular applications pre-loaded. Besides being the first among the PIXIs to offer 4G, the PIXI 3 series is also first to be compatible with three major operating systems: Firefox, Windows and Android. "Our users do not want complicated systems -- they want something familiar from their work environment in the office, but also on a smartphone," said ALCATEL ONETOUCH Chief Marketing Officer Dan Dery. It looks like a watch and feels like a watch but it's much smarter than that. ALCATEL ONETOUCH introduces the WATCH series, a smartwatch that puts a premium on elegant design at a very accessible price. In launching the WATCH, ALCATEL ONETOUCH creates a new market segment: the affordable smartwatch. Visitors to ALCATEL ONETOUCH's CES booth will not only be able to test the brand's products but also really get in the game with activities such as the Interactive Color Run. Color Run is a five-kilometer race during which runners are doused with color at every kilometer. In this virtual version, a video wall will display landscape at a scrolling speed that matches the runner's speed. To win points, players will be able to throw colored sand at the images of other people as they run. Four different smartwatch functions will also display onscreen.